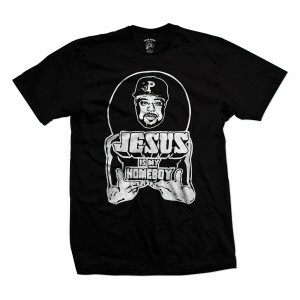 Sean Price Jesus Price Is My Homeboy logo over a black high-quality T-shirt. Comes folded and wrapped in a polybag. Proceeds will be going to Sean Price's family.